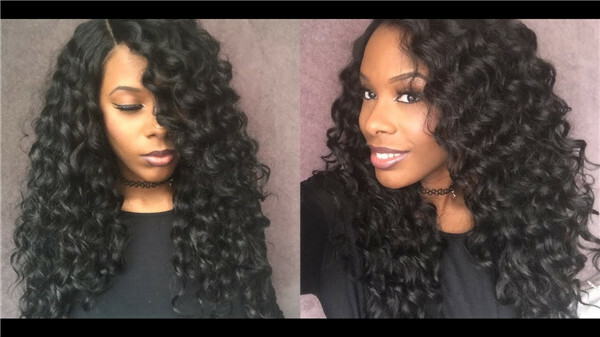 How to Install Full Lace Wig? 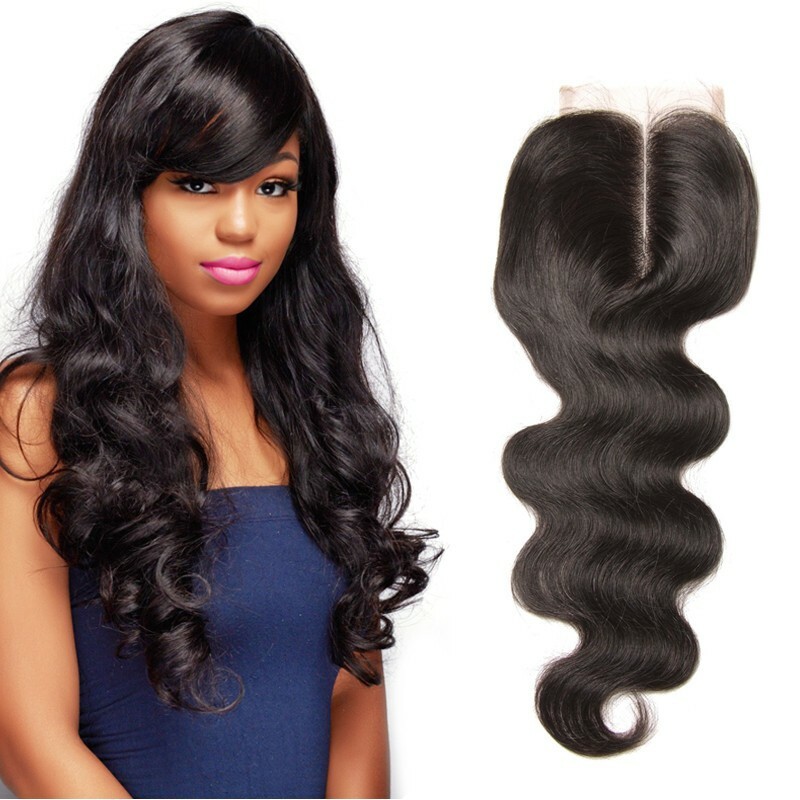 For full lace human hair wig, these types of wigs are made using complete lace. Hair strands are knotted all over the wig cap to cover an entire head and can be worn in different styles. 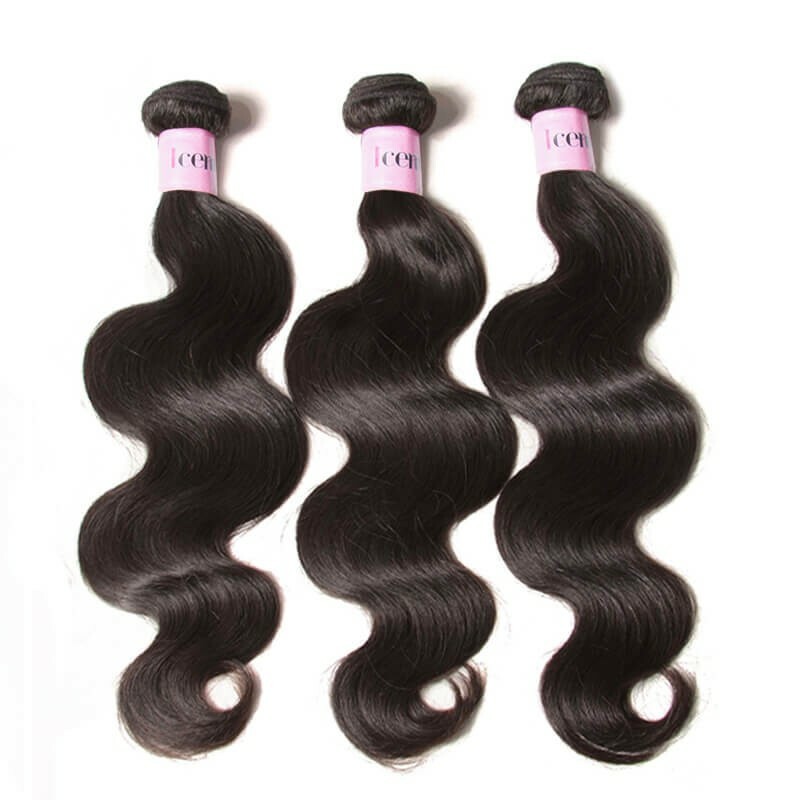 As compared to front lace wigs, these are more expensive because it takes longer to make. However, it is the best wig for versatility.Properly putting on a wig ensures a comfortable, natural new look and style. So,How to Install Full Lace Wig? Wash your scalp with soap and water to ensure the application area is oil-free. Spray scalp protector directly on your head to act as a barrier between your skin and the adhesive. Apply adhesive with the brush to areas onto which the wig will attach. Using the cool air setting, blow dry the adhesive for about 30 seconds. Place the front part of the wig on your forehead and press firmly with both hands for at least 60 seconds. Attach the sides to the matching areas on your scalp and press firmly again for another minute. Trim the lace on the full lace wigs. This only needs to be done the first time you use your wig, and it does not need to be done if the lace has already been trimmed by the manufacturer. To trim the lace, put the wig on your head. Use hair clips to fasten the wig hair back away from your scalp line. Trim any lace that sticks out past the wig hairline using a pair of sharp scissors. Cut small amounts of lace at a time to avoid accidentally cutting too much. Be careful not to cut any of the wig hair. Leave a little bit of lace sticking out past the wig hairline, but no more than 1 inch. Clean the skin by your hairline with a cotton ball dampened with isopropyl alcohol to remove body oils that could prevent the wig adhesive from sticking properly.Meanwhile,Apply scalp protector to the skin by your hairline. This only is necessary if you have sensitive skin. With your fingers, apply your favorite edge control product or gel to lay down your edges to perfection. If using adhesive glue, apply a thin layer to the entire hairline using a small makeup brush or cosmetic stick. If using a soft bond adhesive, don't apply the wig immediately. Wait until the glue has become tacky. If using a hard bond adhesive, the wig can be applied immediately, as this type of glue bonds immediately. Line the wig part up as desired and use the wig combs to secure it onto your hair. Make sure not to pull too tight! Those attaching a wig with glue should start by attaching the wig at the hairline in the front middle of the forehead. Gently press the edge of the wig down against the glued skin, working around the hairline until it is attached around the entire hairline. Pull the wig down and adjust as necessary. 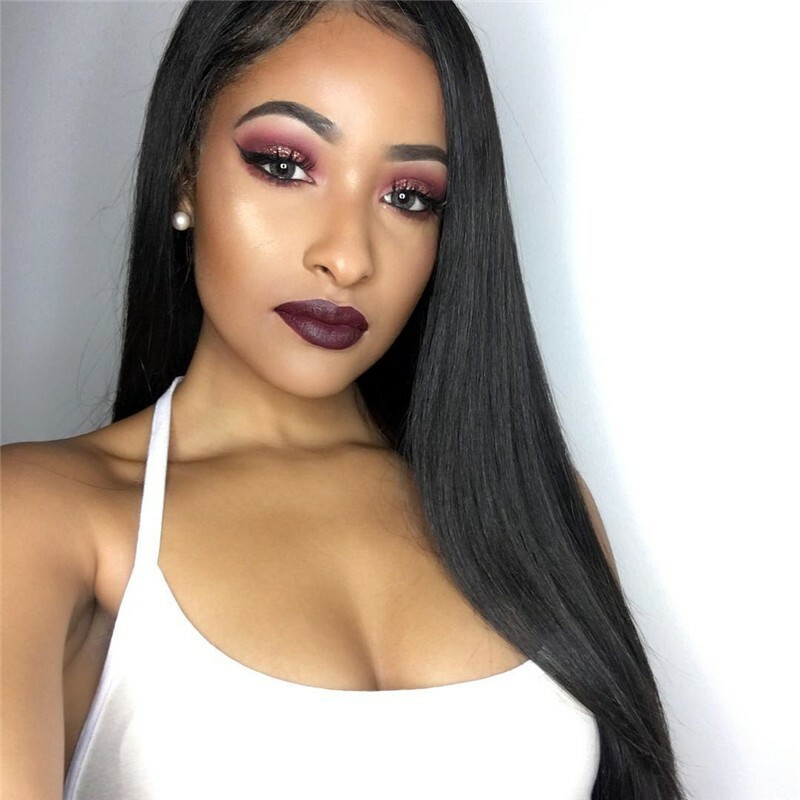 Flat ironing can help smooth down the top to mimic your hair.Press down on the edges of the wig for five seconds to make the adhesive stick to your skin. Style the wig as desired. 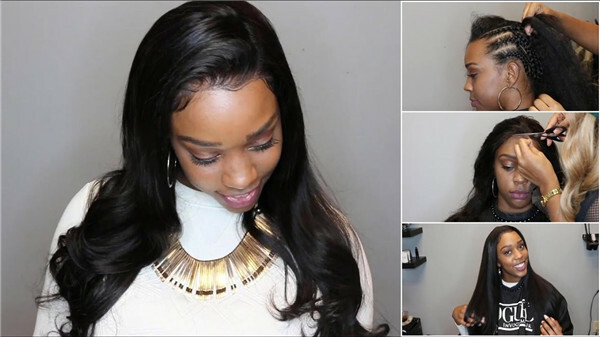 Position the lace frontal wig on your head. The easiest way to find the front-center of the wig is to part the hair on the wig. Parting the hair will reveal the hairline. The middle of the wig hairline should line up with the middle of your forehead at your hairline. 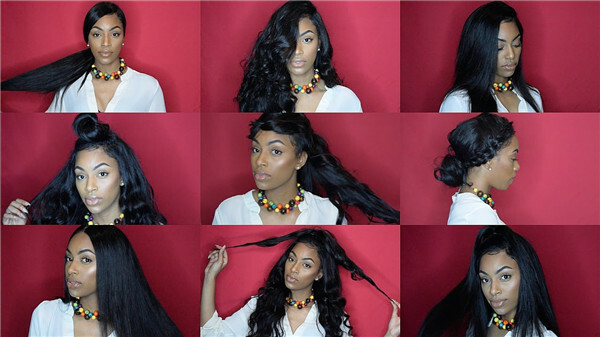 Video of how to install full lace wig. 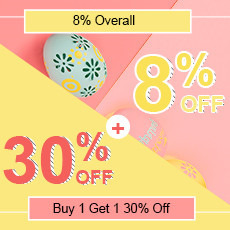 Recently, human hair lace front wigs have become widely available to everyone. 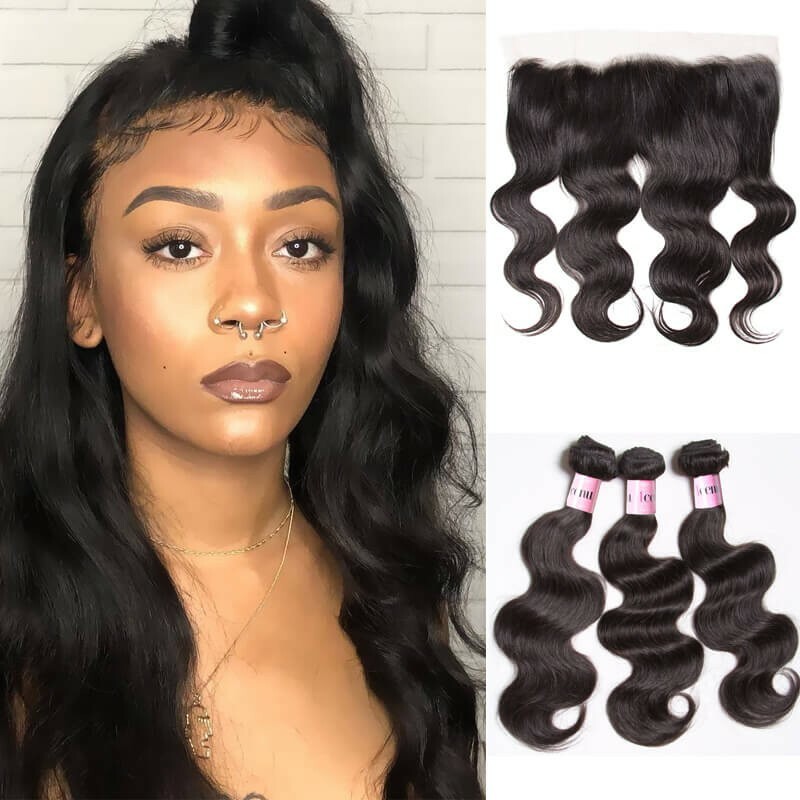 Although the application process usually requires adhesive products that only a professional can properly use, there are some lace front wigs that you can apply at home without tape or glue. Step 1:Turn your full lace wig inside out. Pull the hair on the wig into a ponytail or place a clamp around it so that it does not get into the way when you start to sew the wig clips on to the unit. Step 2:Thread the weaving needle using a thread similar to the hair color on the wig to make the wig clips less noticeable. Grab one of the wig clips and place the bottom of the clips at the bottom, middle portion of the wig. Make sure the teeth on the clips are facing you. Step 3:Insert your weaving needle underneath the lace wig and then through the hole on the clips. Move to the next hole and insert the clip through the hole and then back down through the wig. Repeat this procedure until you have sewn through every hole on each full lace wig clip. Step 4:Place another wig clip around 3 inches away from the clip that you have just sewn onto the full lace wig. Repeat the same procedure above to attach the clip to the lace cap of the full lace wig. Step 5:Turn the full lace wig to the right side about an inch above where your ear would be and attach another wig clip in this place. Repeat this same procedure for the left side of the wig. Do not attach any clips in the front of the wig, because it will show around your hairline and be noticeable. Step 6:Flip the wig back into the right position and place it on your head. Insert the wig clips into your hair to secure the wig in place. Remove the hair clamp from the wig and style your wig as you like.this procedure is similar as attaching a lace front wig. Most wigs will have elastic or Velcro straps in the back to help hold it in place. Tighten or loosen those straps as needed so the wig feels secure and comfortable on your head. If you want to be able to wear your wig in a ponytail, consider purchasing two little tabs of adhesive tape to add to the area just in front of your ears. This area will lift when using the "no tape," "no glue" method. 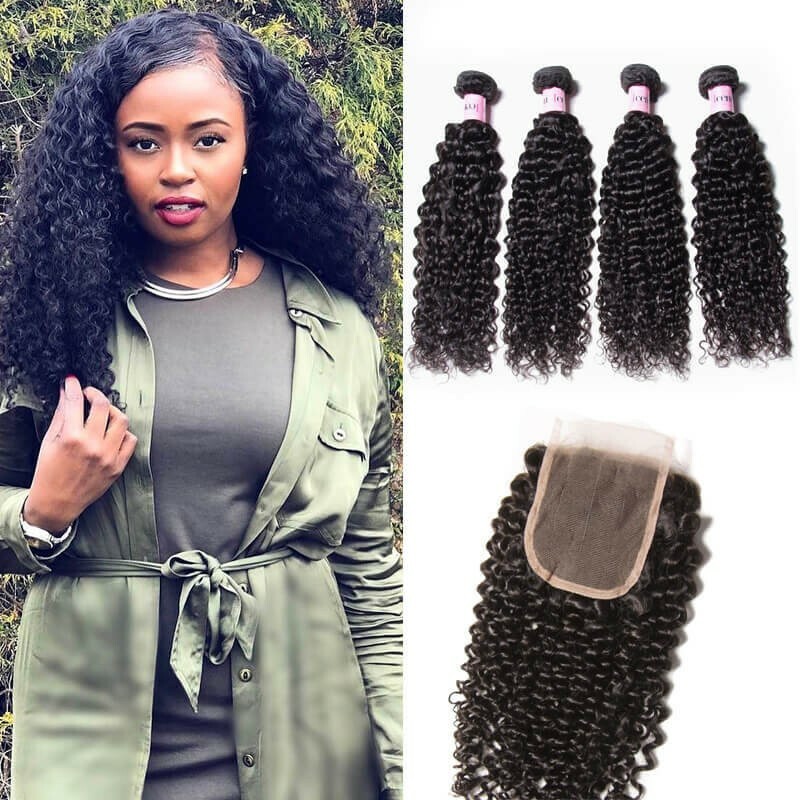 How to remove your lace wig? The Adhesive remover and 99% Alcohol will assist in removing your unit. Spray the adhesive remover generously and allow the glue remover to work. Do not pull or tug the lace, it will damage your lace and your hair. Alternate between using the adhesive remover and the 99% Alcohol to remove your lace. Do not pull the lace or attempt to force it off, or you may damage your skin and the lace. You should be able to roll the excess glue off of your skin and wig once the remover has set. 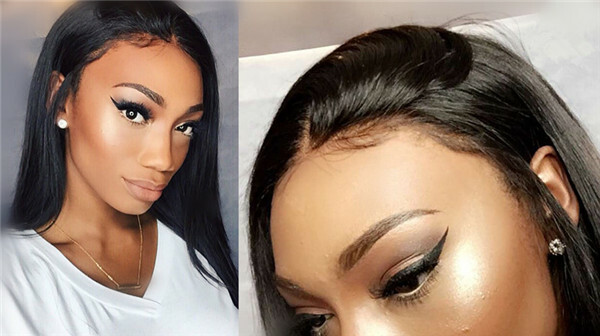 Full Lace Wig Vs Lace Frontal Wig,Which One Is Better? 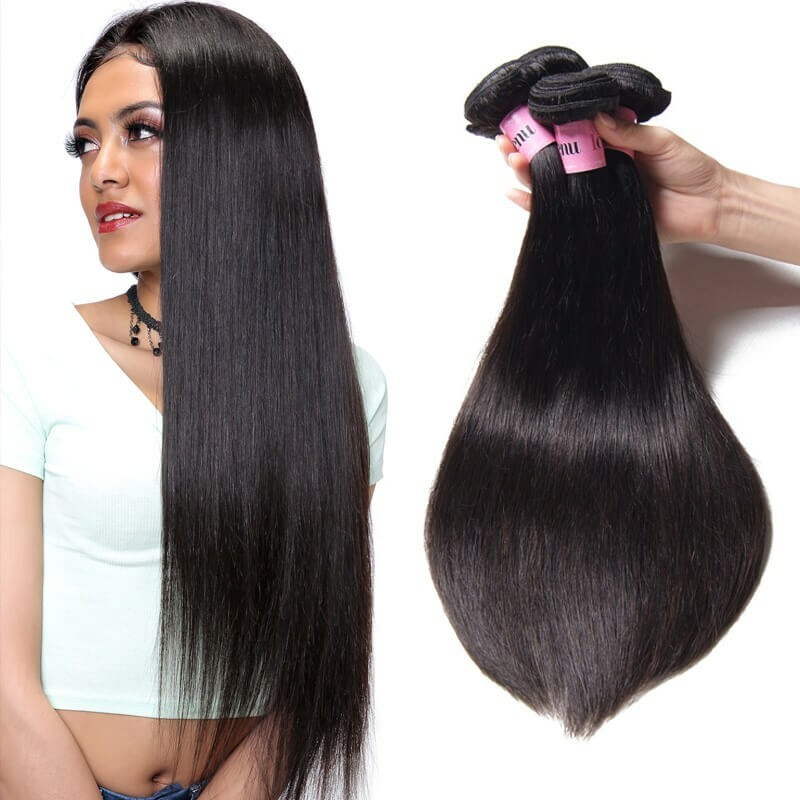 What Is The Difference Between Human Hair Wigs And Synthetics?